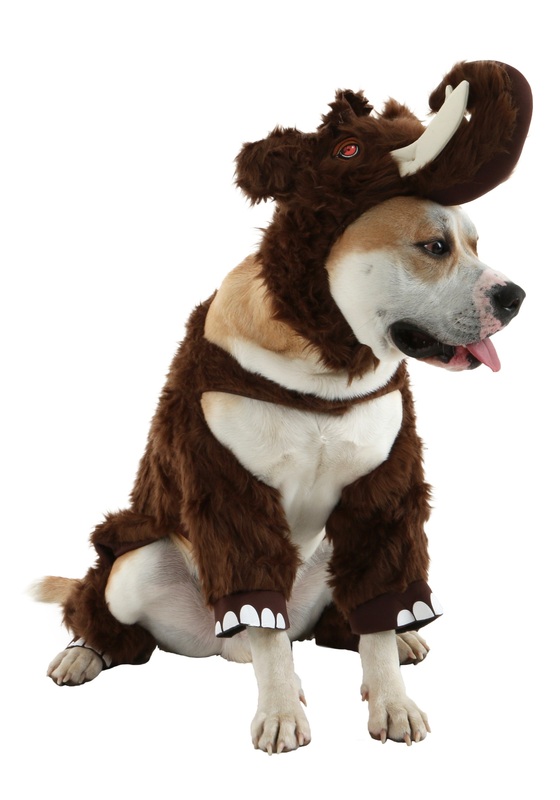 This Woolly Mammoth Costume For Dogs lets your dog feel like a huge prehistoric beast! It's a polyester bodysuit of brown cuddle fur, lined with interlock knit. Adjustable Velcro™ straps round the abdomen and chest hold it in place. Your pet's legs fit into sleeves with foam mammoth feet covers, while a short mammoth tail hangs down in the back of the suit. The faux fur headpiece has a stuffed trunk and tusks on the top, and an ear on each side. 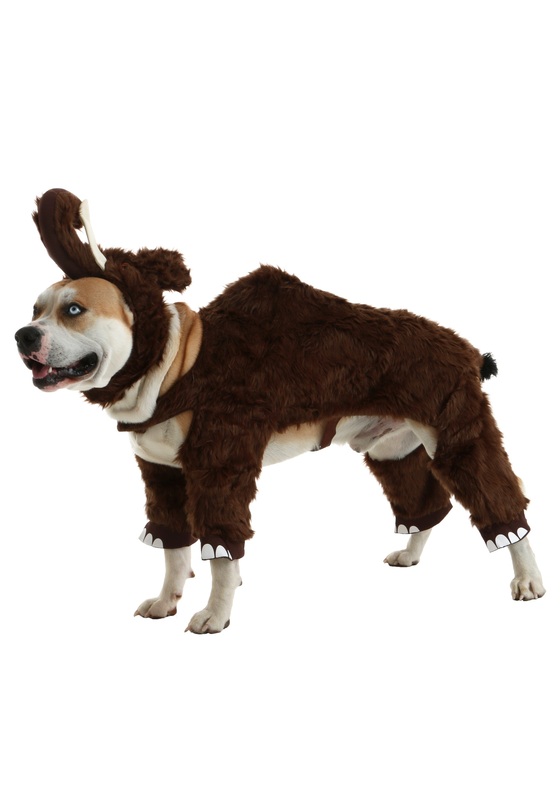 It's a cute and fun dog costume idea!